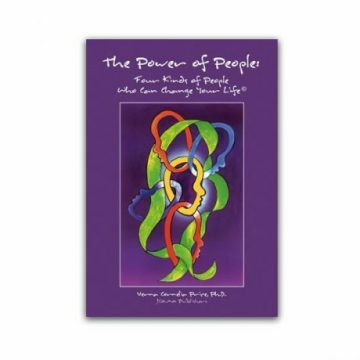 The Power of People: Four Kinds of People Who Can Change Your Life is a small book with a big impact. It is Dr. Verna’s first book and has become a national bestseller with over 40,000 copies sold. Dr. Verna neatly and succinctly presents a simple guide by which you can accurately assess how every person in your life may be affecting you and how you may be affecting the people in your life. You will learn about what it means to have personal power and how every person uses their power to positively or negatively influence your life. You will specifically learn about the Four Types of Powerful People (Adders, Subtracters, Dividers and Multipliers) and finally you will learn about who you are and how to figure out how people are using their power in your life. The Little Purple Book is a must read!